"To Care for Our People and Our Nation"
The mission of the Quinault Police Department is to earn consistent trust from our community and preserve the peace of our people. 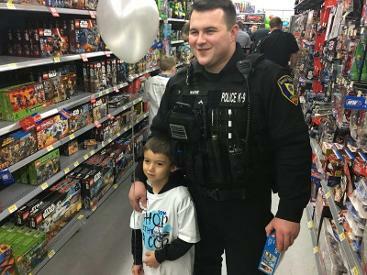 This mission is best accomplished by maintaining excellent relationships with other community departments and by always choosing a proactive approach to policing. We pride ourselves on our compassion and respect for our community, our honesty, integrity, and our innovative spirit. We aim to make a positive difference on our Native lands. Quinault Indian Reservation stretches over 208,150 acres, including 23 miles of Pacific coastline, beautiful forests, rivers, and lakes. It runs through Jefferson and Grays Harbor County and includes much of the Olympic National Forest. The Quinault Nation is comprised of the Native Quinault and Queets tribes and also represents descendants of outlying tribes of the Pacific coast: Chinook, Cowlitz, Quileute, Hoh, and Chehalis. 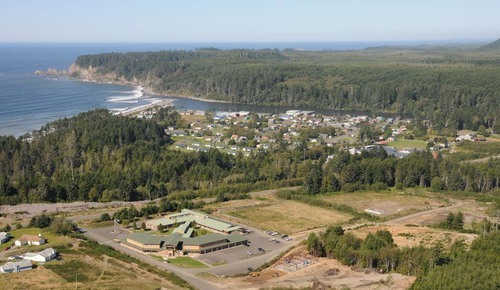 The Quinault Tribal Police Station is located in the lower village of Taholah, on the Quinault homeland in the Southwest corner of the Olympic Peninsula in Western Washington State. 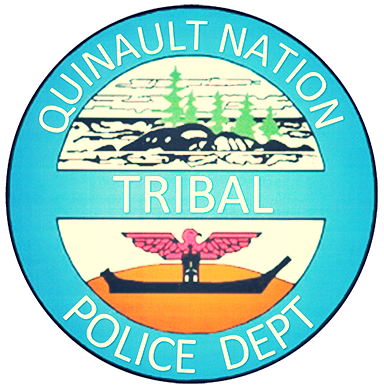 The Quinault Police Department was established in 1965 and was originally run by the Bureau of Indian Affairs and Federal Government. 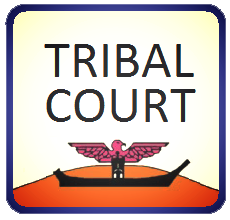 In 1990 the Quinault Indian Nation set the ground work to self-govern in Indian law, confident that the reservation possessed the abilities to manage tribal affairs and law internally. Six other tribes made the same decision around this time without external interference. The Quinault Indian Nation is now a self-governed nation with the rights to address other tribes and nations on a government-to-government basis. As the Quinault Tribal Police Department we are grateful for the surrounding departments that also work to improve safety and well-being on the reservation. 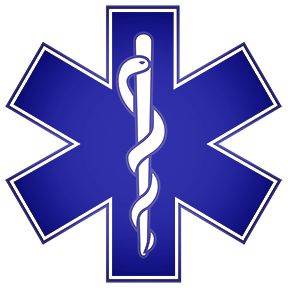 We work closely with the corrections department, court systems, EMS, and the resource protection department. With like-minded departments, with similar goals, we can achieve our goals of obtaining a safe and close-knitted community. Chief Mark James provides updates about current important events and police activities here. For employment Opportunities with the Quinault Police or Corrections Departments please visit the Quinault Nation Human Resources web page at http://www.quinaultindiannation.com/jobs.htm or contact Lieutenant Ron Belcher at (360) 276-4423 for more information.